i was able to fill the cupcakes using the large cookie scoop that my mom picked up for me a few weeks ago. i’m really loving this thing! 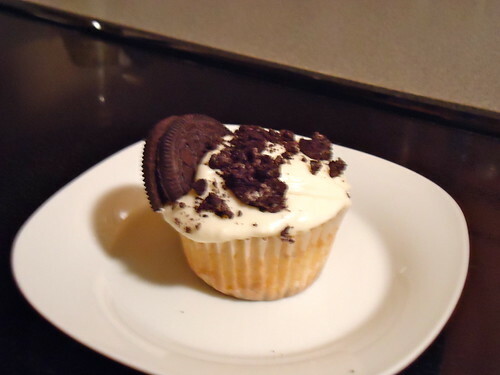 line your cupcake pans with paper lines, place an oreo half in each liner, cream side up. in a large bowl, combine the butter and sugar, beating at med-high speed for 2 min. until light and fluffy. blend in the egg whites, followed by the vanilla. on low speed, beat in half of the dry ingredients, until just incorporated. add milk and beat until just combined and then mix in the remaining dry ingredients. 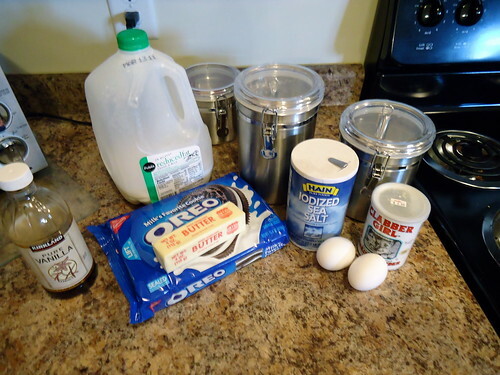 fold the chopped oreos in with a rubber spatula, just until evenly distributed. 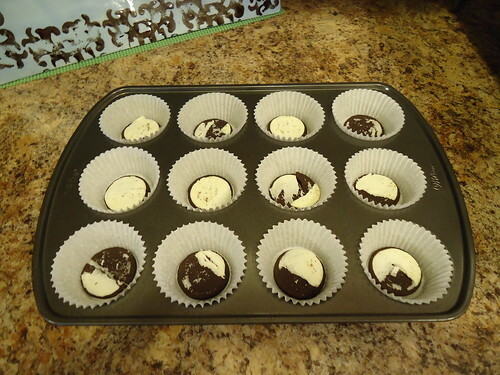 using a large cookie scoop, evenly divide the batter between the prepared cupcake liners. bake for 18-20 min., or until a toothpick comes out clean. cool in the pan for 5 min. and then transfer to a wire rack to cool completely. while the cupcakes are baking, make the frosting. 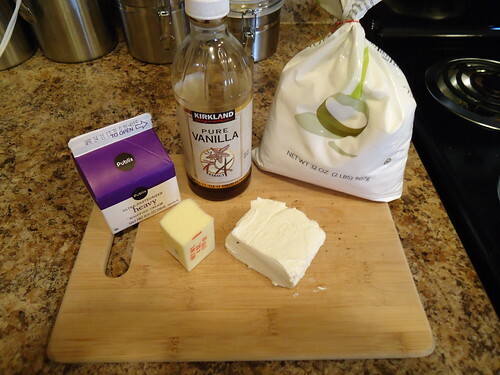 combine the cream cheese and butter in the bowl of an electric mixer (this is important, a hand mixer won’t cut it.) beat on med-high speed for 1 min. blend in vanilla. beat in powdered sugar until smooth, 1-2 min. add heavy cream to the bowl, beat on med-low speed until just incorporated. crank it up to med-high and whip for 4 min. until light and fluffy, scraping down the sides of the bowl as needed. after cupcakes are cool, frost. 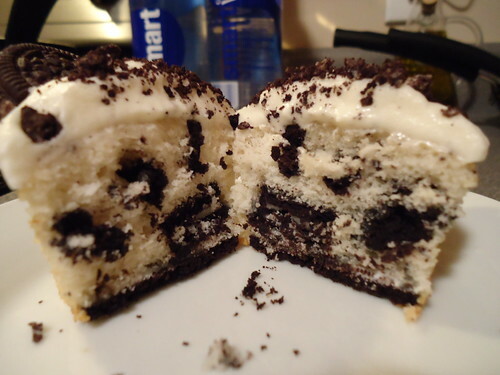 coat with oreo crumbs and top with oreo halves.